Start your review of Jody Smith. Thank You! 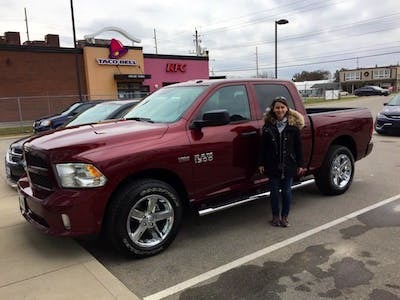 Your message has been sent to Jody Smith at Eichenberg Chrysler. They had a great selection of trucks and within a couple of days I was in the exact truck that I wanted at a great price! 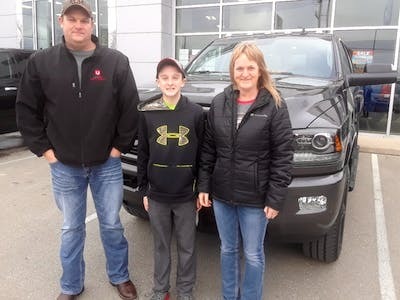 "sales staff willing to find you the right vehicle"
Charlie went above and beyond to find the truck we where looking for as well as Dave for giving fair market value for our trade. Between the sales and service departments an excellent rating is not enough! Thoroughly impressed and recommending Eichenberg to family and friends. The epitome of customerservice! "My purchase of a 2019 Jeep Cherokee "
From the sales team to the service department, I cannot say enough of all the excellent treatment we have received over the years with Eichenberg Chrysler. Service is great. We have bought a few trucks from them now and they have had a good experience with ever purchase. I would recommend this dealership. We come to make a purchase. We return for the service. This is number 9 for vehicles our family has purchased from Eichenberg Chrysler. We are comfortable working with the sales team and are confident we will be provided with great service. 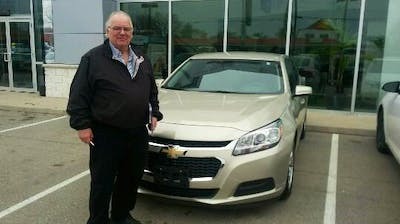 Charlie Sofalvi has provided service and sales support for many years. This is a family run business and we always fell welcomed by the service and parts team. We drive on family vacations knowing full well our vehicle is always properly maintained to keep our family safe on the road. "Very well treated and very happy." I found the car on the Internet and they sent me al the info I needed to make a decision to make an appointment. At the appointment Charlie Sofalvi one of their salesmen took care of me. The car was out front, clean, and ready for a test drive. Charlie explained everything about the car and we put a deal together. The finance people were very thorow and explained how thing would be done. Charlie picked me up on the day that it took delivery and we finalize the sale. Every body made me feel like I was the only customer at the time. My husband is still grinning from ear to ear. We’ve just purchased our third new truck from Eichenberg Motors. It has never mattered which department we were speaking with; whether it was sales, service or reception, all of the staff have always been friendly and extremely helpful. Ann Kamenar has been the sales rep that we have worked with for our last two purchases. She is very knowledgeable about their vehicles and will go out of her way to accommodate her customers finding additional available discounts where applicable. We would have no hesitation in recommending Ann or Eichenberg Motors for your next purchase. Please state your concerns regarding this review. Please be as descriptive as possible. We ask that reviewers read your private response within 5 days. This is a measure put in place to help identify fraudulent posts on the site, and in some cases we may determine that the review is not subject to removal even when the reviewer has not read your response. Which review do you believe this to be a duplicate of? Please provide the screen name, date, etc. Please provide any identifying information that you have regarding the former employee that you believe wrote the review – full name, email, social media links, anything that will help us research a connection between the review and that person. Please let us know what leads you to believe that this review was posted fraudulently. Which dealership do you believe this review was meant for, and what leads you to believe the review was posted to the incorrect page? Please let us know what leads you to believe that this review should be removed from the page. Please provide the exact content of the review that you feel is inappropriate. We've received your report and sent you an email with a link to monitor its status. We've received your report and will follow up with you shortly. Thank you.